The new Flex E Pack system, an ideal one/two-person modular, end-of-line packing station, will be showcased as part of a joint venture between Wexxar Bel (booth #5221) and Matrix Packaging Machinery (booth #5231) at WestPack, February 5-7, at the Anaheim Convention Center, Anaheim, California. The Flex E Pack is an all-in-one case packing system (forms, packs and seals) that’s designed to reduce labor and increase production output of flexible packages. Its modular system provides end users with added flexibility to integrate the right components to best meet application needs. 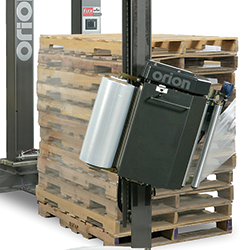 WestPack attendees will be able to see for themselves just how much productivity can be achieved in a limited space. The system is connected to a Matrix Mercury form fill seal machine. When pouches are filled, they travel along a Joy conveyor to arrive on a Wexxar Bel product accumulation table. 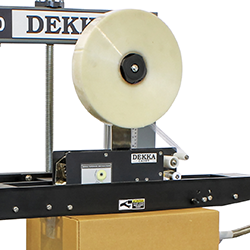 From there, one or two operators at the Flex E Pack station pack pouches into cases formed by a Dekka 500, and then sends the case down to a BEL 250 for sealing. When fully operational, the Flex E Pack has an output of 10 cases per minute, per person. When applications or needs change, the Flex E Pack can change as well. Simply add a more robust case former like the Wexxar WF20 to increase your output to 20 cases per minute; the system can be paired with any Wexxar case former. 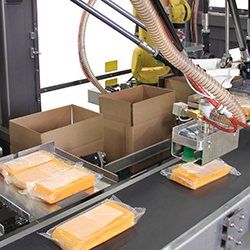 To see how the Flex E Pack can reduce your labor costs while increasing production output, visit Wexxar Bel in booth #5221 or Matrix Packaging Machinery in booth #5231 at WestPack. For more information on the Flex E Pack, visit www.wexxar.com. 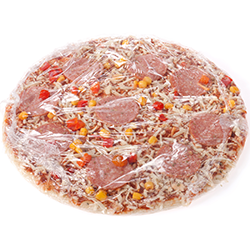 Wexxar Bel and Matrix Packaging Machinery are ProMach brands. At Wexxar Bel, corrugated container packaging applications are limited only by the imagination. Our Wexxar case formers and case sealers have been installed in nearly 40 countries and consistently bring customers the lowest cost of ownership and the highest standards of safety. Wexxar also offers the BEL line of corrugated box sealers, tapers, and packing systems as well as the IPAK line of tray and bliss formers, stackers, and sealers systems. As part of the ProMach End of Line business line, Wexxar helps our packaging customers protect and grow the reputation and trust of their consumers. ProMach is performance, and the proof is in every package. Learn more about Wexxar Bel at www.Wexxar.com and more about ProMach at ProMachBuilt.com.